The insecticide Talstar contains the active ingredient bifenthrin, while Suspend contains deltamethrin. According to Cornell University, bifenthrin is less toxic than deltamethrin, causing less harm to birds, fish and mammals--including humans--exposed to the substance. Talstar and Suspend are brands of insecticides. There is evidence to suggest that Suspend kills more effectively than Talstar. 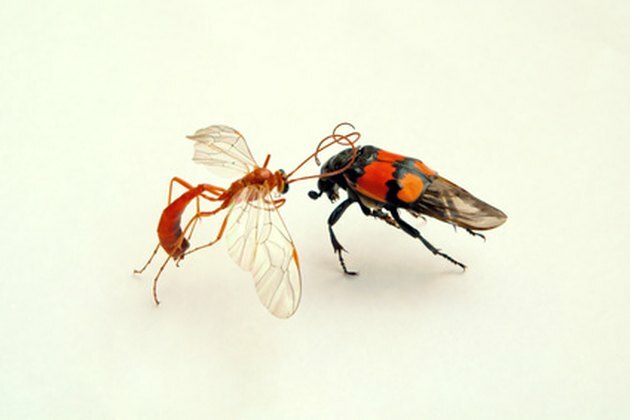 A study in the Indian Journal of Entomology found that, when used to kill the red flour beetle, deltamethrin remained effective longer than bifenthrin. Although deltamethrin may be more effective than bifenthrin, Talstar and Suspend have different uses. According to the reference website Pest Products, Talstar is generally used to treat insects in lawns, while Suspend is primarily used indoors.